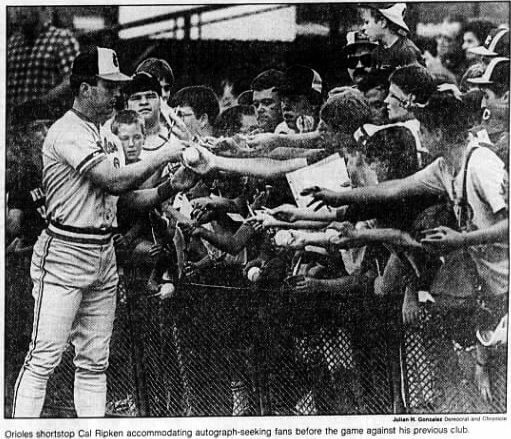 From On a Cal Ripken signed 1989 glove, prized possessions, and the Rundel Library. 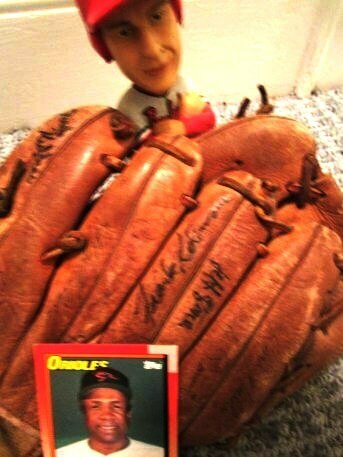 The glove was actually signed in 1988. 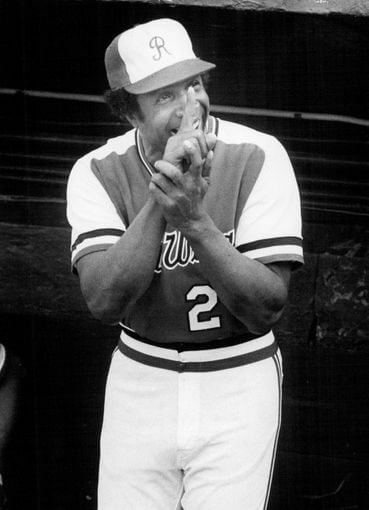 In Frank Robinson, MLB’s first black manager who briefly led Red Wings, dead at 83 (2/8/19), the Democrat and Chronicle reviews the tenure of Frank Robinson (1935 – 2019) as the manager of the Rochester Red Wings, including a memorable home run hitting contest between Robinson and Willie Mays at Silver Stadium. 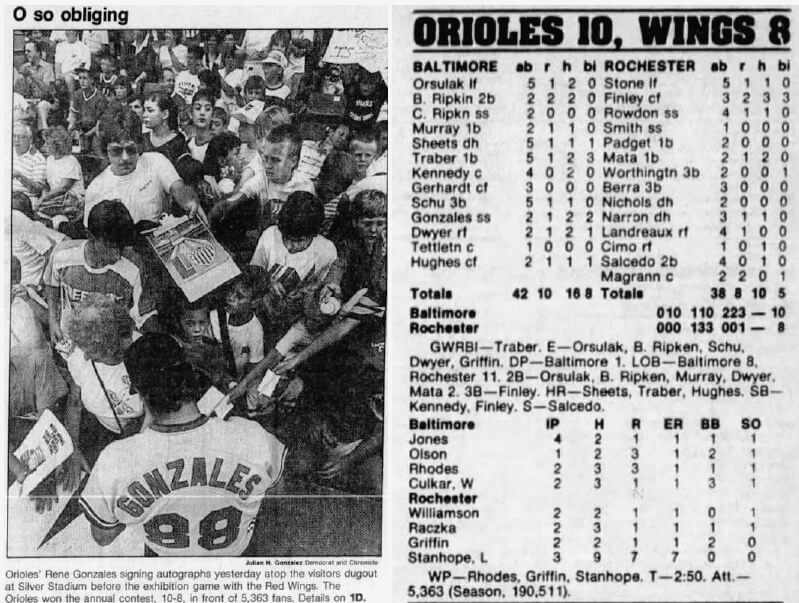 Over the years, Robinson was not infrequently in Rochester, including for the Orioles-Red Wings exhibition games when Robinson managed Baltimore from 1988 – 1991. 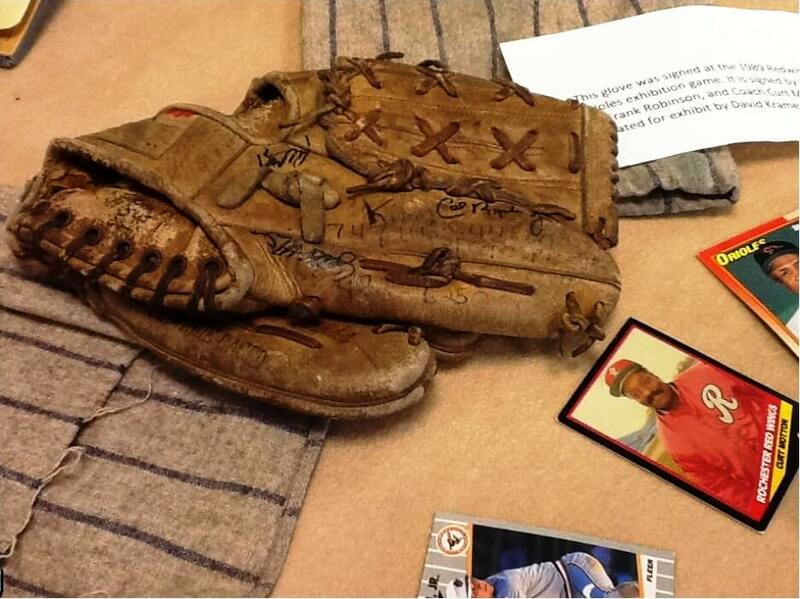 That fan was not me, but I did acquire the glove, later displayed from May 1 – June 14th, 2013 at the Central Library of Rochester in the Pride & Passion: The African-American Baseball Experience traveling exhibition that also included Rochester Baseball Memorabilia. 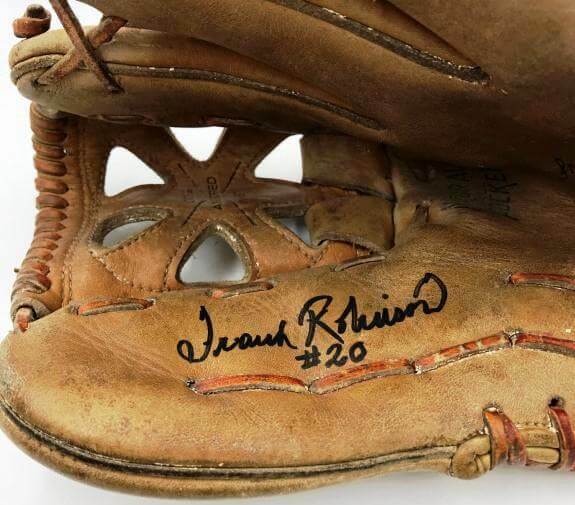 Without seeming morbid, I wondered how much a Frank Robinson autographed glove is worth. A vintage version is quite valuable. 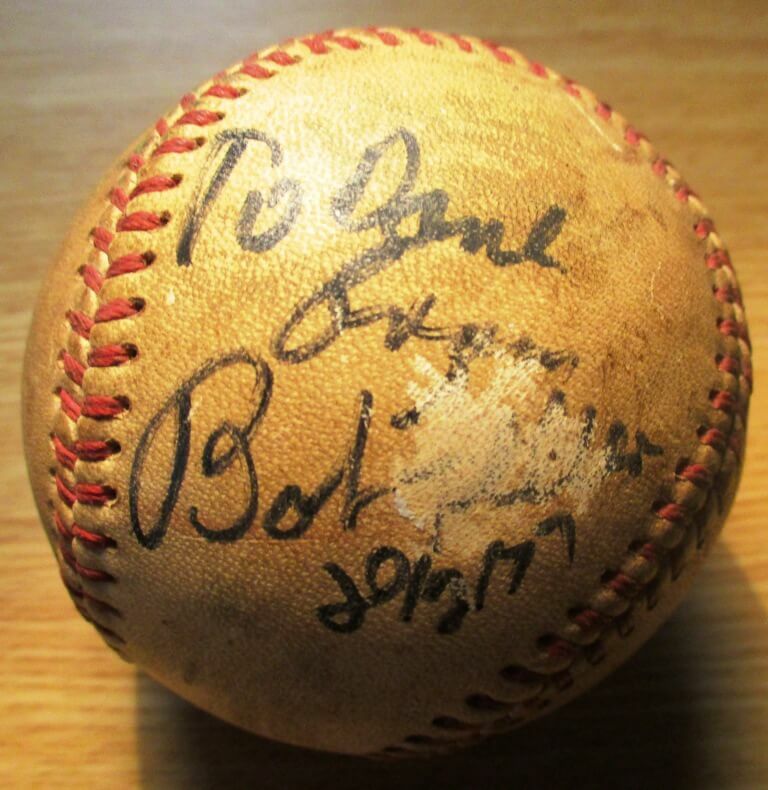 I was definitely there in 1977 at Silver Stadium when Hall of Famer Bob Feller signed my baseball.